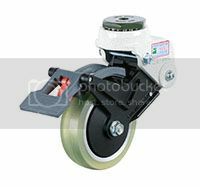 Countless hours of R&D have culminated in the most advanced shock absorbing casters in the industry. 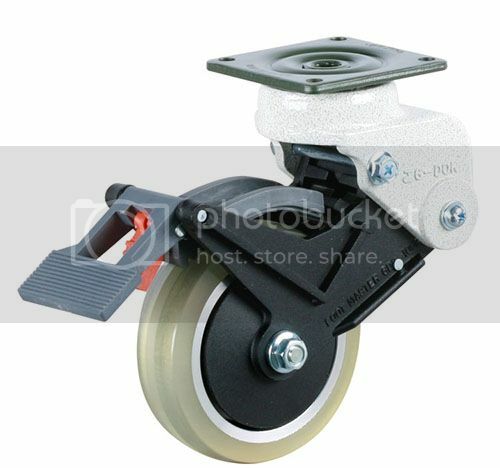 FOOTMASTER® shock absorbing casters display unmatched performance in protecting shock to shock-sensitive items such as semiconductors, glass, and other sensitive or specialized objects. 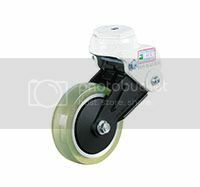 These noise reducing, shock absorbing casters have already proven to be a reliable solution in workshops, factories, offices, production floors, and hospitals. The secret to FOOTMASTER’s® unmatched performance is the state-of-the-art rubber spring which provides unparalleled shock and weight absorption as compared to industry-standard steel coil springs. 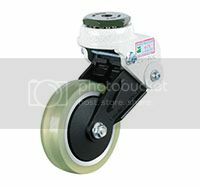 Testing has shown time and again how our casters far exceed the performance of steel coil spring casters in providing you a defect-free solution. 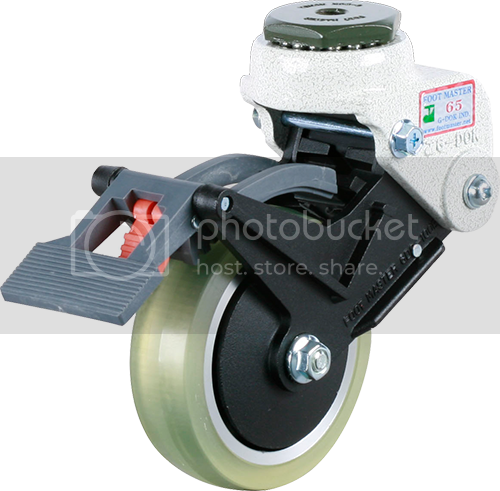 We recognize that no work environment is standard and based on load requirements and the demand of your work environment, FOOTMASTER® shock absorbing casters can be provided with two standard types of rubber springs to ensure that you are getting the perfect product. 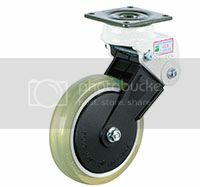 Plus, in addition to standard larger wheel sizes, FOOTMASTER® shock absorbing casters are available in smaller models to enable a wide range of applications. 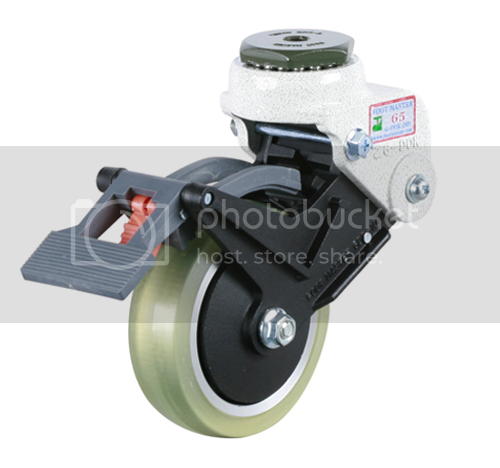 RoHS certified, sizes ranging from 6”-10” (160mm-270mm) dynamic load capacity ranging from 220lb-771lb (100kg-350kg), anti static, high temperature usage up to 482 degrees Fahrenheit (250 degrees Celsius), wide selection of top plate, your choice of two different shock absorbing pads. Copyright © 2018 DoRodo. All rights reserved.